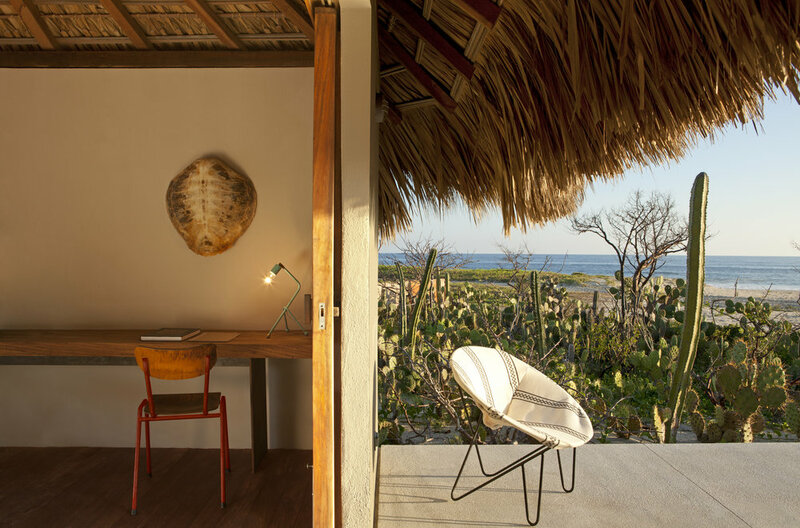 Hoteliers Carlos Couturier and Moisés Micha, the well-traveled and fun-loving duo behind Grupo Habita, which we love (check out our Checking in at Hotel Americano in NYC), transformed an unspoilt, virgin Oaxacan seaside into a surf heaven, laid-back private getaway. The beach town of Puerto Escondido, a famous surfing and fishing destination, is home to Hotel Escondido (which means hidden hotel). The hotel's 16 traditional palapas bungalows offer a terrace with a hammock ( a must ), sunbeds, private pool, all decorated in a fun, colourful way. 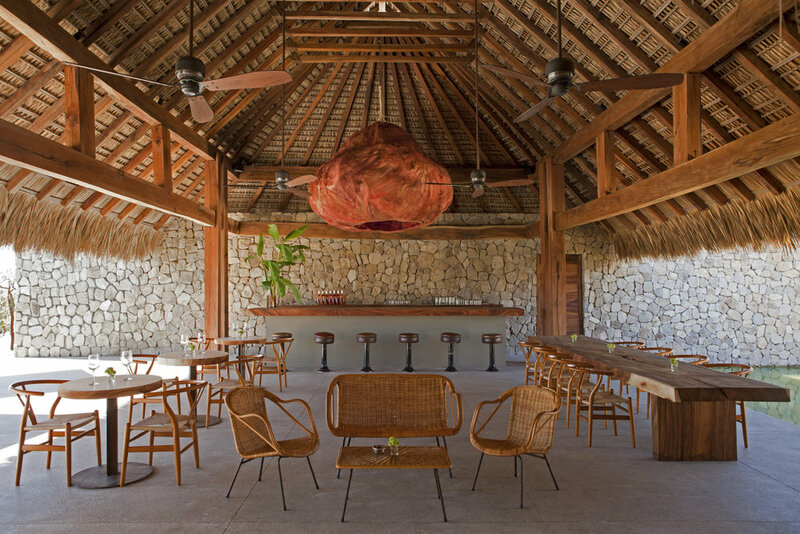 We love the contrast of the tropical natural woods, concrete bathrooms, all made from wood and palm leaves, with the colored walls and floors. The design and architecture was made by Federico Rivera Río. Prices: Rooms from $280 / night. Catch the waves, relax under the Oaxacan sun, and make your reservation here. Location: Carretera Federal Salinacruz , Santiago Pinotepa Nacional km 113, 71983, Puerto Escondido, Oaxaca. Photography courtesy of Grupo Habita, Hotel Escondido, taken by Undine Pröhl.